Home » We have to take from the Liberals at least half of the media field! We have to take from the Liberals at least half of the media field! For its second meeting " Izborskiy Club " selected manufacturing plants NGO "Energomash" named after Academician Glushko in Khimki. The walls of the plant, which brings together rocket engines, for decades outperforming the rest of the world, are not accidental for the club. They call for the concentration of state resources for technical breakthrough in Russia. And most importantly - for creating a new model of development of the state, a new ideology. To achieve this end, according to the participants, it is necessary first of all to beat the Liberals in the information field . To learn how to do it was explained (to Nakanune.RU) by one of the founders of the "Izborskiy Club," Eurasian Movement leader, Professor of Moscow State University Alexander Dugin. Q: This is the second meeting of "Izborskiy Club" Which of your "teammates" took part in it and what was the main topic of the meeting? Alexander Dugin: Our meeting today was attended by Alexandre Prokhanov, Sergei Glazyev, Archimandrite Tikhon (Shevkunov), Michail Delyagin, Andrei Kobyakov Valery Korovin, Mikhail Leontiev and other famous people. We gathered to discuss the future strategy and the shaping of the agenda of the club, and are ready for the direct and open conversation concerning the issues that face the conservative segment of the Russian society. We also discussed the challenges facing the state, people and president Putin. This was a review of conservative views on what is happening in the country. The most important and fundamental issue of our meeting was, in my opinion, the idea that conservatism, which we are offering to the people, carries with it something quite different than what people expect from us. We do not insist that the reforms, which are held by the authorities, must have a slower rate. We say that in certain occasions they are not needed at all, if taken in their contemporary form. Our dispute with the liberals is not a debate on the speed of reforms, this is a dispute about the goals to which we are heading. Relatively speaking, we are now moving to the west, and our message is that we should not go to a Western point, but we need to go east! Why is this important? Because there is no consensus in the community about the probltm where we need to go, about the aims and the direction of it. Our country is different from Europe or America, which are countries with more stable historical agenda. Everyone agrees that the Liberals offer to go to the West, and their agenda - it is the liberation of man from all forms of collective identity. But most part of the Russian society does not want to go this way, so we basically deny this very direction! We, the conservatives, want a strong, powerful state, we want order, a healthy family, positive values, enhance of the value of religion and the Church in society. But we haven’t yet identified this watershed . Alexander Dugin: It's not so simple. Liberals dominate the information space, and this is well shown in the discourse of Father Tikhon (Shevkunov). They dominate the media, dominate the education, dominate the expert community. Our Constitution enshrines the absence of a "ruling" ideology, despite of this liberalism is de facto the ruling ideology of the Russian society. Liberalism is not shared by most of the people and even by a significant part of the elite. But liberal minority imposes to us its agenda and asserts that it has no alternative and then builds the economy and the whole policy of the state according to it. These themes were clearly explained by Michail Delyagin and Sergei Glazyev. In Russia we still have an ultra-liberal economic strategy, which does not match any of the realities of the global economy, as well as the interests of Russia . Continuation of this liberal line will be disastrous for our country. 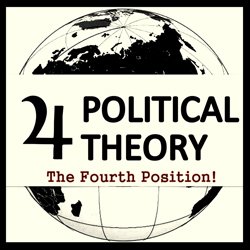 Based on this fact, I have put forward the following idea: since there are two types of people with polar ideologies, the conservatives and the liberals, in our society, we, as the conservatives, in order to influence the educational and information policy, need to have at our disposal half of the broadcast instruments, half of the educational institutes and half of media expert Community. We, the conservatives, are actually a large part of society, but in the media environment we are the minority, and this discrepancy, injustice, and usurpation of the powerful discourse concerning the principles and values by the liberals should be eliminated. My ideas were approved by everyone in the Club. Someone started to say that we need more than 50%, others - that we need to somehow appear in the field of ideology and information, but the general direction was totally supported. All agreed that we, conservatives, have to go to the counter. Question: But this usurpation of discourse began in August 1991: after several months, when it existed as a "dictatorship of the democratic proletariat," and after the execution of the Parliament in 1993, it has grown and developed into the "democratic dictatorship of the oligarchy." Have we got a whole generation that is not able to imagine that things could be different. What should be done? 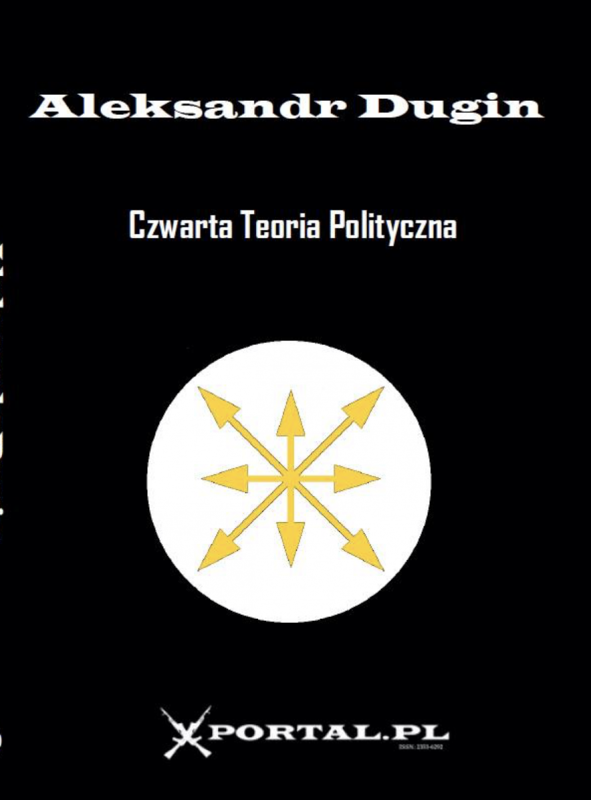 Alexander Dugin: Now a new time has come. Putin is probably a good manager. But in the sphere of ideological construction he has lost 12 years! And now everybody regards "Izborsky Club" as a welcome center to create an alternative thought. Now we have a unique opportunity to diversify democratically ideological discourse, which was totally usurped by the Liberals. We have the chance to make transfer the discussions in our society to democratic ones. Recommendations of "Izborskiy club" are taken very seriously by the current leaders of Russia. I want to note, in particular, that the fundamental task of "Izborskiy club" is to do away with the ideological dominance of Surkov and his group, which set the tone in the ideology of all these years. The care of Surkov has opened the way to escape from the postmodern discourse loop, when the former deputy chief of president administration by simple changing clothes turned liberals to patriots and forced them to play the roles, thereby depriving ideological disputes of any sense. His work was damaging to our ideological sphere. "The End" of Surkov has allowed the conservatives to unite in a clear and lucid intellectual project, which, I think, today is vital to president Putin. Our club gathers the right people at the right time. We might have proclaimed nothing new in comparison with the previous years -- neither me, nor Delyagin, nor Maxim Shevchenko, no Prokhanov. All of us, in general, continue to act in the same direction, but we have never got together in such a “thick“ "concentration," we have never experienced such an interest to our persons: previously we were either diluted by liberals or pited on each other, and all this was done by the Office of Surkov. And Surkov himself was very well aware of what he was doing. He told me about that when I met him. He did not allow patriotism to form an independent pole of power. He created the structure, which he himself later dismantled. Now liberals can offer Putin only one project: to surrender to Medvedev, to gather the suitcases and to go to the international tribunal in Hague. Not only participants' of the march of millions " many times have spoken about it, but the founding fathers of INSOR -- Jurgens and Gontmakher, talked about that, probably, in a milder form. Putin may accept even more extreme liberal suggestions, including handing over the power to Medvedev. But when somebody says, that the fate of Russia will be defined not in the sphere of his competence, he doesn’t accept it. Of course, he will, presumably, be guided by the liberal project in the economic sphere, but in politics -- he knows who he deals with. But the ideas and the projects that were offered by the patriots, Putin had not heared yet, because Surkov was a filter, who exposed the patriots as a kind of weirdos, squealing at the periphery. We were represented as the eccentrics, possessed by devil, and Putin, of course, didn't hear what we really say. Q: But how can he hear your discourse now? The so called Public television, which is to be organized now, is likely again to become a mouthpiece for liberals, and you, patriots, will probably again have a onehour content-program in the night-time somewhere on the TV channel "Culture"? We have 99% of television programs built on the liberal model. We are hammered that we should care only about ourselves and the career of the great businessmen serves us as an example. This is a blatant ideological brainwashing and propaganda. We need patriotic radio, television, we need patriotic experts, we need patriotic clubs. We need the media to express our national interests, and these interests are not something amorphous. I teach sociology at Moscow State University and tell you, as a scientist, that national interests are calculated in a clear, rigorous model, there is no room for arbitrariness. We are ready to build this model. I think, that 50% of the radio and television content can stay as it is, and 50% air content must consist of the best programs of the "Culture," "Spas," “Education”channels: we need more programs like "The word of the shepherd” and various educational programs. Some persons, of course, will say that the people will not watch it. But I want to send these people to hell! Propensity of the people to sin does not give the right to operate a sin! And the economic benefits and all the ratings are not the supreme criterion in this regard. TV should be consistent with morality, and that should be the determining factor. We do not need three gears or an hour on "Culture-channel" We need half of broadcasting time! Because we represent half of the society! I repeat it again: now, when Surkov is away, we must use this opportunity to make a normal ideological competition. I can not say that in the chairs of Surkov and his team patriots are sitting now. But at least they are not the terrible manipulators, like him, and not the rabid opponents of the conservatism. How will we fight for control over half of the broadcasting media? In many different ways! Soon you'll see!